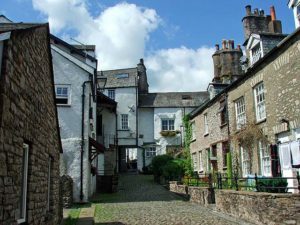 The other day we received a call from a gentleman who owned a flat in Kendal which was rented out to a young couple. The bath hot water tap had sprung a severe leak at the connection under the bath and the flat below had been badly affected by the water. The tenant had managed to isolate the water so the situation was under control. We fixed the leak and reconnected the water supply much to the relief of the tenant and the landlord. Cumbria Emergency Plumbers in Kendal were kept busy at vicarsfield in Kendal when they were asked to fix a leak in a toilet. Another emergency callout was attended in Kendal at Broad Ing Crescent to look at another leak in a bathroom ceiling. A bad leak was found and fixed as an emergency callout from Cumbria Emergency Plumbers in Kendal at Rinkfield. A toilet not flushing at a property on Glebe Road in Kendal was fixed promptly by Cumbria Emergency Plumbers.